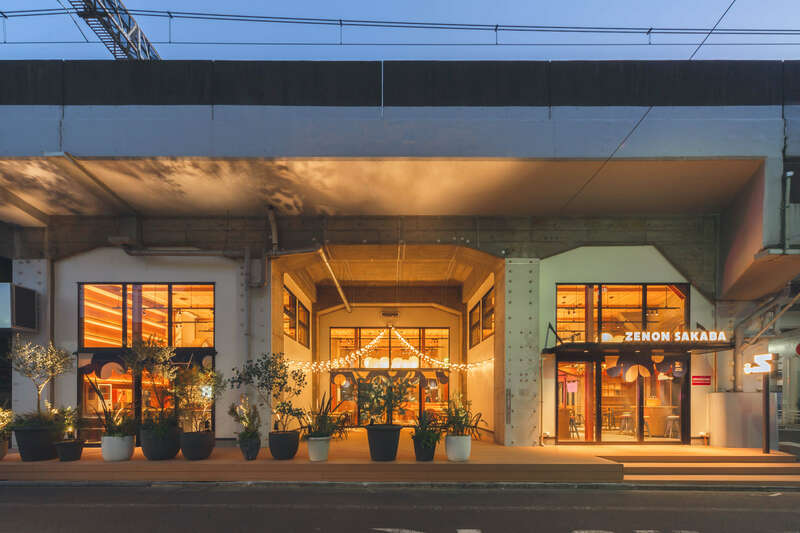 ZENON SAKABA is a new restaurant that will hold its grand opening in Kichijoji, Tokyo on November 28. 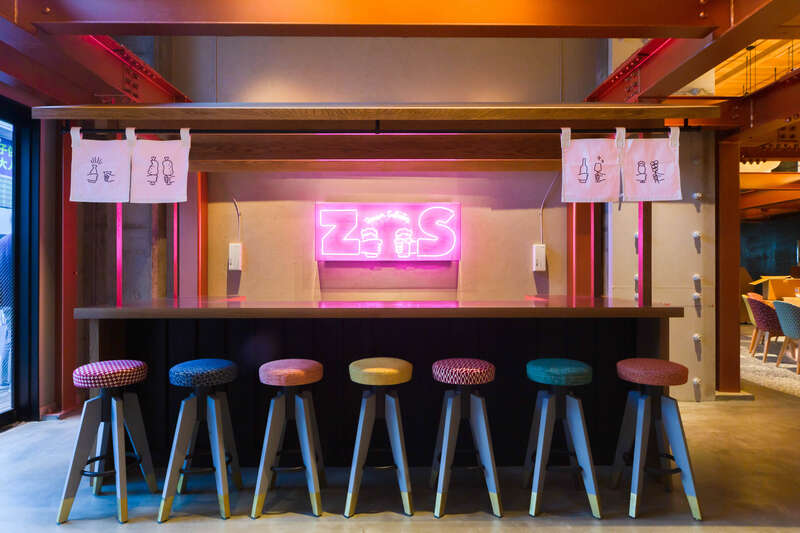 It is managed by Zizoya, a sister company of the manga and anime production company Coamix, where they aim to “express manga through spaces.” This is done through setting up restaurants, bars and other establishments based on manga, such as Fist of the North Star and City Hunter. It has already been 9 years since CAFE ZENON opened, a famous cafe in Kichijoji that brings to life the world of manga magazines. It is a bustling place that the Kichijoji-based manga publishing group opened at the underpass on the JR side of the station. 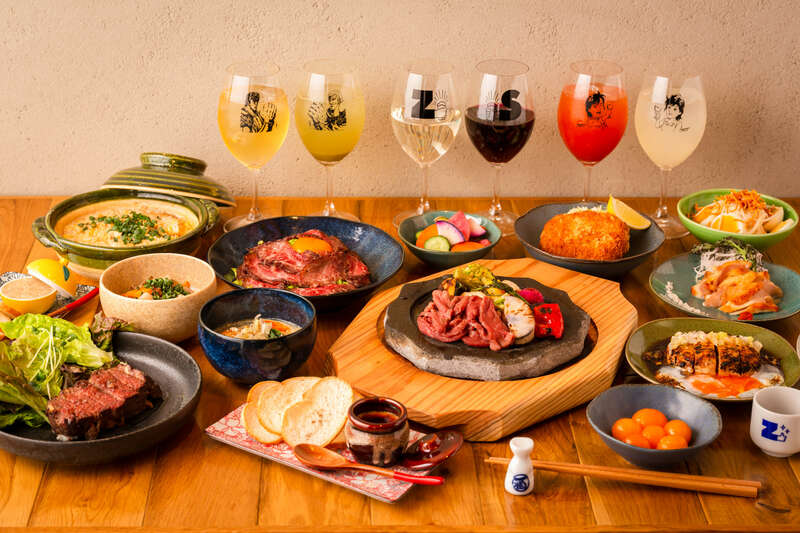 All drinks are served in wine glasses, and there’s even merchandise featuring original illustrations of Kenshiro and Raoh from Fist of the North Star and Ryo Saeba from City Hunters toasting at ZENON SAKABA. 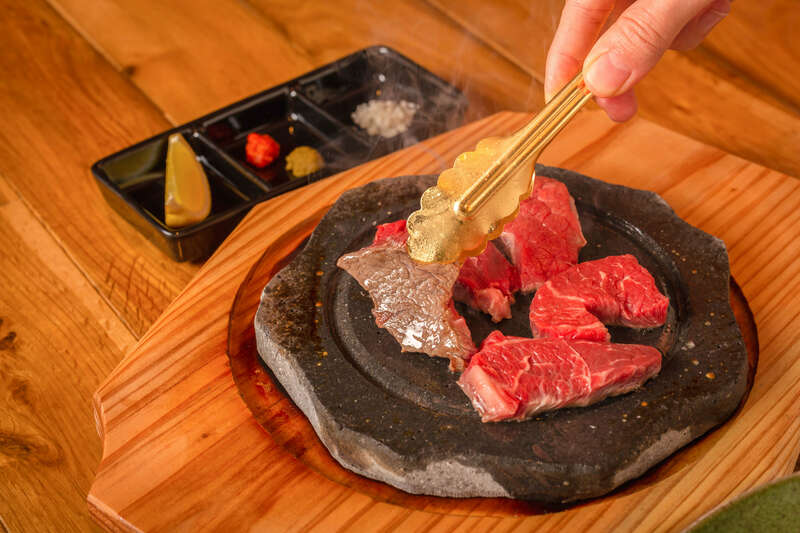 Food includes red cattle from the city of Aso in Kumamoto Prefecture which is a very hard to come by red meat packed with the flavour, giant chicken which was at one point extinct, agar leek, pork from Amakusa and more. 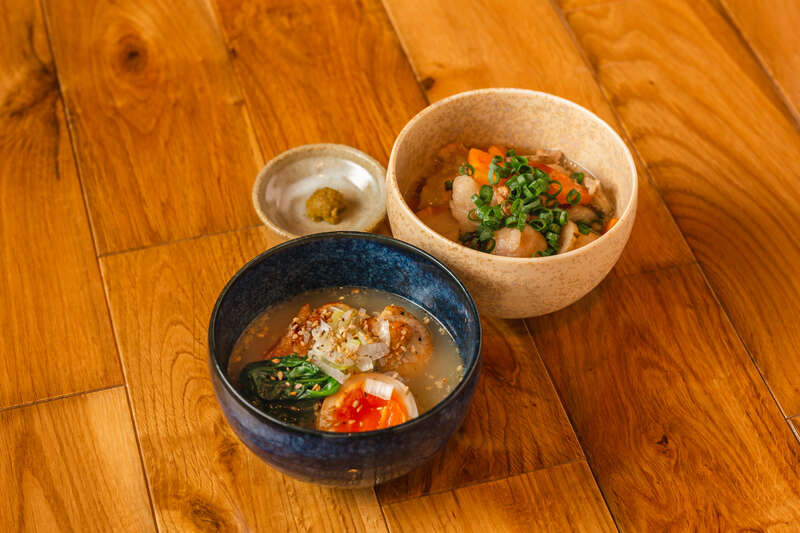 Each item on every plate has been carefully selected from Kumamoto and has a delicious story behind it. 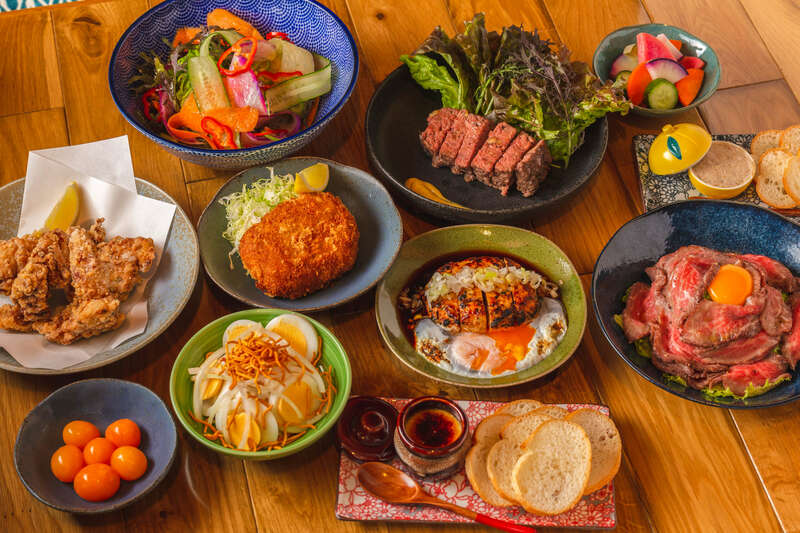 A proud line-up of other Kumamoto drinks and ingredients you don’t often encounter in Tokyo will also fill bellies including alcohol from Aso, highland vegetables, citrus fruits and more. An exquisite alcohol selection will also be available. 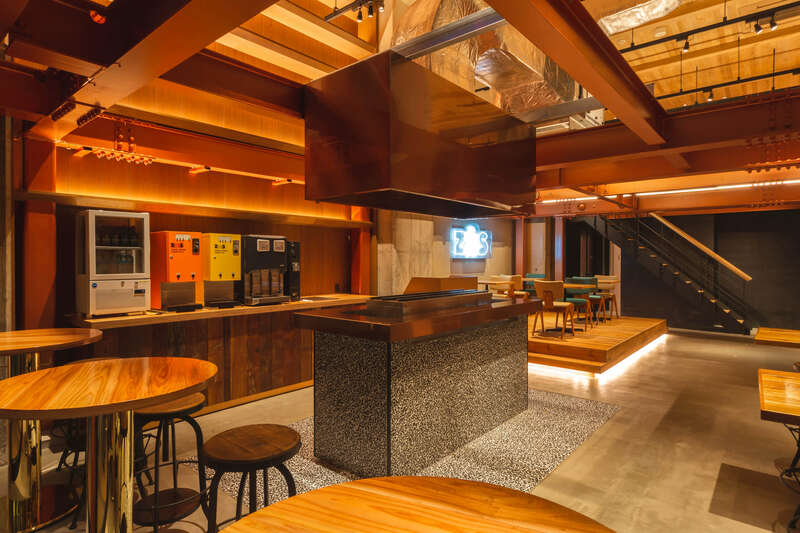 There’s even a charcoal grill where customers can cook and eat their own food. A highlight of the restaurant is how reasonable the prices are. You might even make some friends while cooking your food. The restaurant is also the proud owner of Kichijoji’s first alcohol vending machine. As well as all of this, there will be a limited-edition food sold each day by staff walking around. There is manga, anime, jazz, a variety of troupes, performers from Inokashira Park. It’s a chance to fully immerse in Kichijoji’s culture. Expect exhibitions from a variety of performances as well as workshops, schools, lectures and more. The staff at this restaurant aren’t just ordinary staff either. They consist of aspiring performers, comedians, actors, musicians and more. 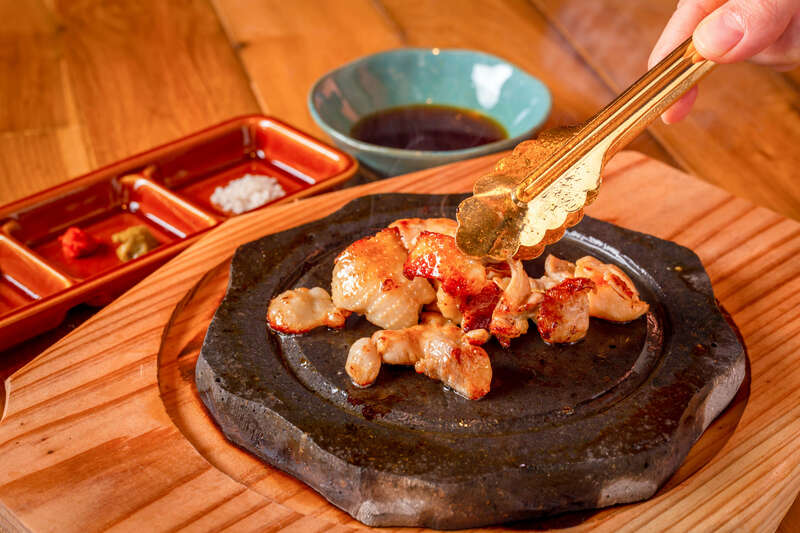 Whether you’re looking for delicious food, want to experience something new, love amusing things―anything at all―look no further than ZENON SAKABA. Next » “Harmonica Yokocho” of Kichijoji　always welcomes you.